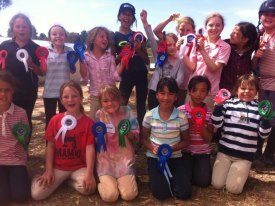 Ready Set Trot is a junior participation program for children with an interest in horses but don’t have one of their own. Ready Set Trot aims to introduce young people to horses and provide them with a better understanding of horsemanship in a fun and exciting way – regardless if they have access to a horse or not. Ready Set Trot will teach the fundamentals of horsemanship, introduce young people to the many various areas of the horse industry and aims to instill in them a lifelong passion for horses. 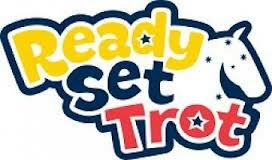 Ready Set Trot consists of two types of program – Ready Set Trot- Playground Skills and Ready Set Trot- Stable Skills. 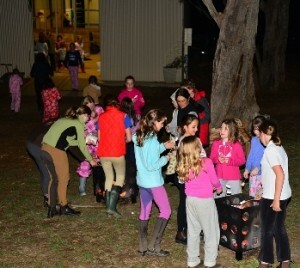 Ready Set Trot- Playground Skills – provides young people with an introduction to horses through a series of free games and activities. It is the most accessible way to dip a hoof into the horse world and has been designed especially for school teachers, after-school carers, parents and club coaches. Ready Set Trot – Playground Skills requires minimal resources so it can be delivered anywhere, anytime. By using the imagination of children to link horses to everyday play, children are acquainted with a basic understanding of the horse world. 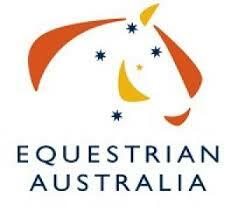 For details and bookings call Margaret Jones on 0435 831 304. © 2014 Kirby Park Stud.